Our human nature makes us afraid of the unknown so that we stay away from danger. But thanks to curious people who’ve somehow overcome this fear, there is less and less mystery in the world. 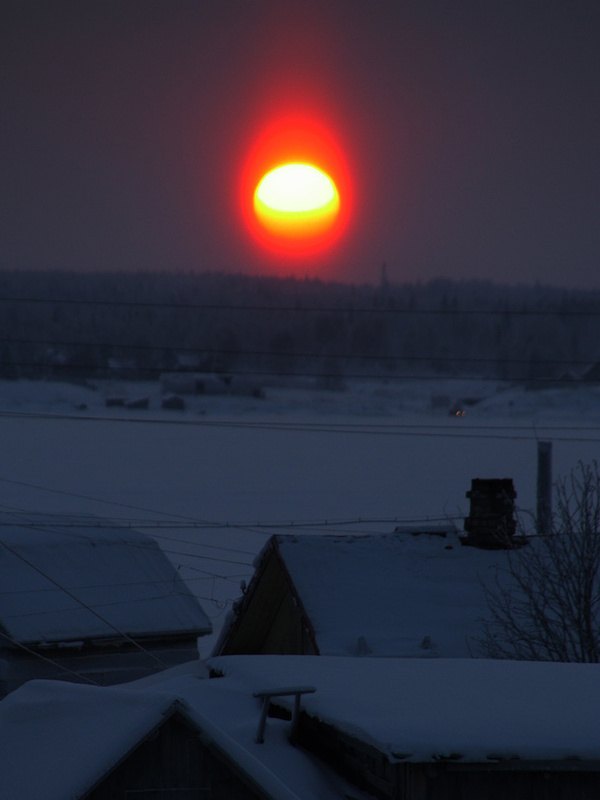 You simply have to take a picture of an unusual phenomenon and internet users, scientists, or travelers will tell you what it is. They’ll explain why some mushrooms form perfect circles or who throws around those glass balls that kids pick up in summer. We has collected the most interesting photos depicting strange things and phenomena that created some hot discussions on the internet. 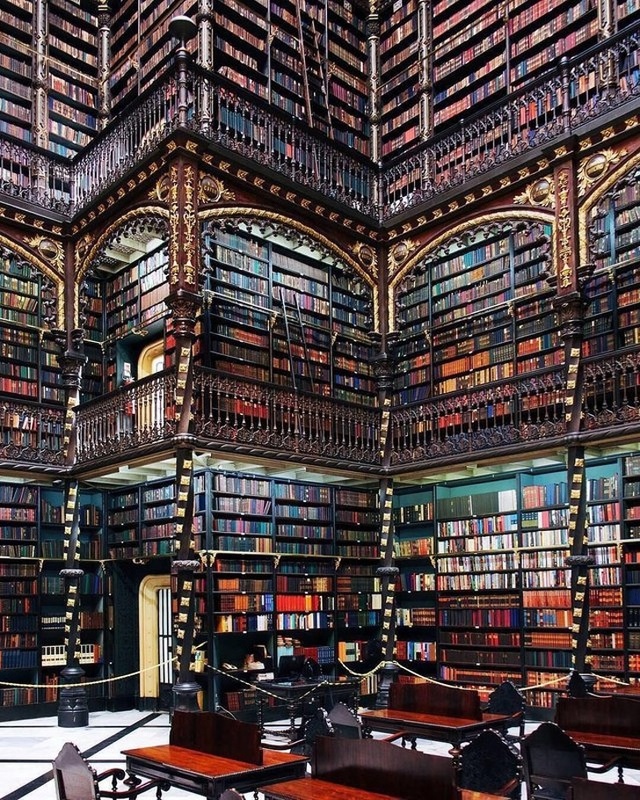 Will you guess what’s going on in there? 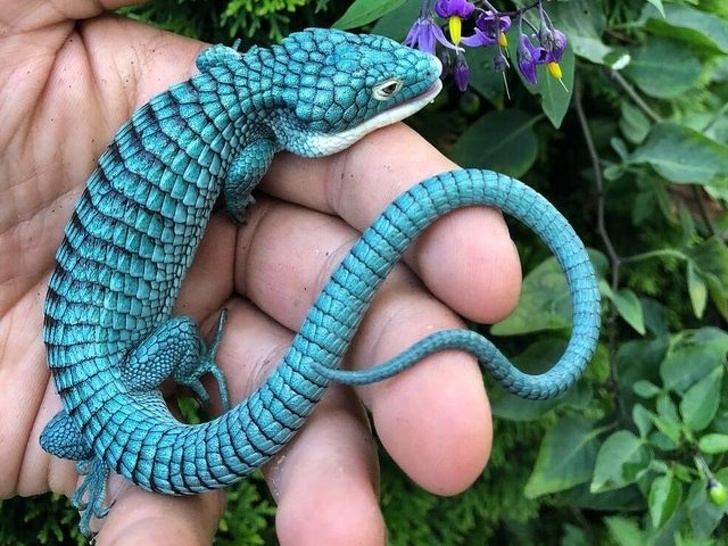 This is a rare Mexican Alligator lizard. They are threatened with extinction due to deforestation and because of poachers. These birds live in Qualicum Beach, Canada. 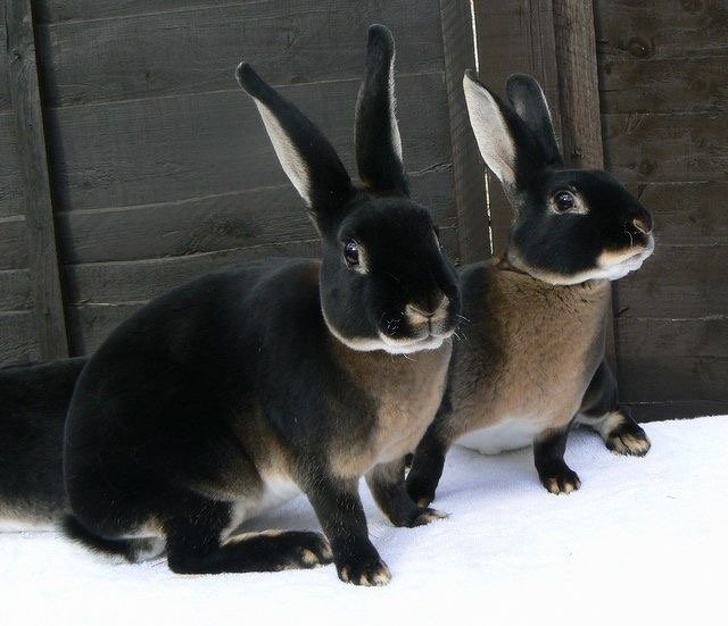 They have leucism, a condition in which there is loss of pigmentation. 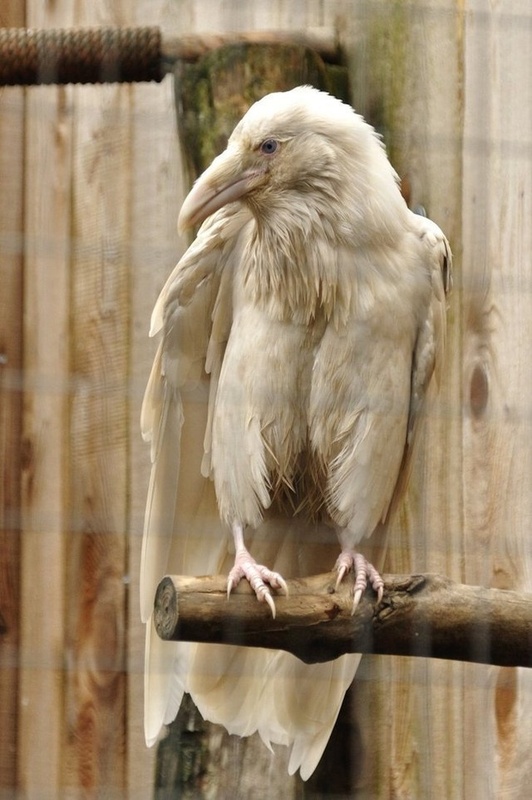 Around 10 years ago, 2 birds with leucism met and gave birth to their offspring that inherited this feature. Each year, the number of white crows in Qualicum Beach grows. 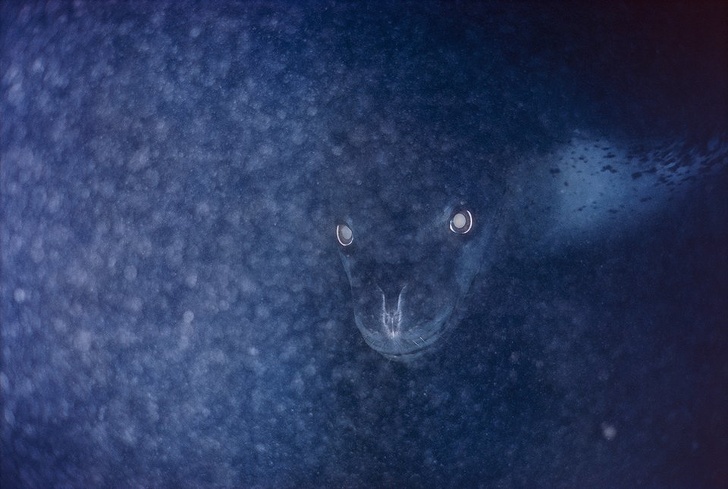 … nope, just a Leopard seal beneath the ice. People used to believe that these circles served as portals to another dimension or marked the site of witches’ dancing. 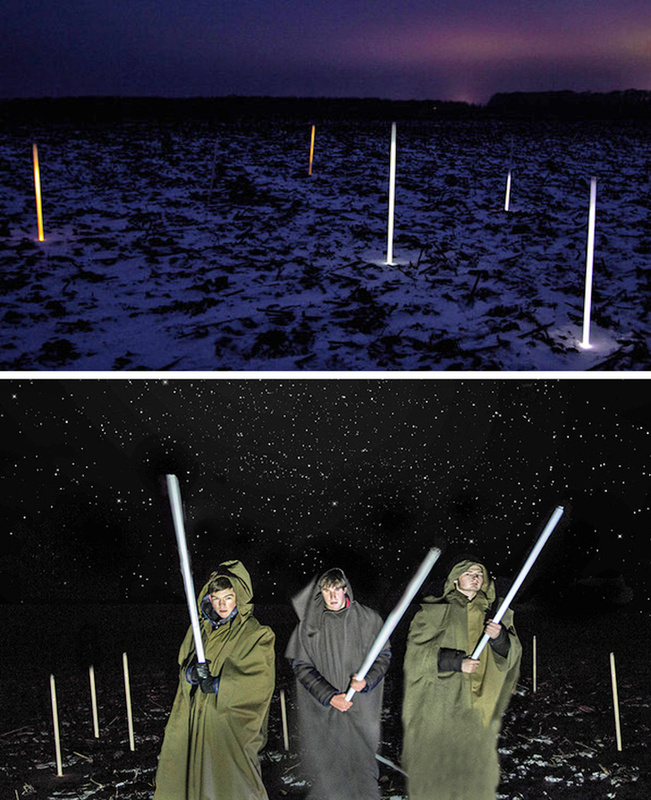 They thought that anyone who stepped into an empty fairy ring would die. The explanation was found very long ago: underground, the mycelium grows and spreads from the center, forming a circle. As time passes, the nutrients in the center are exhausted and the center dies, thereby forming a living ring, from which the fairy ring legend arose. But we can only see the mushrooms on the surface that form the wide circle. 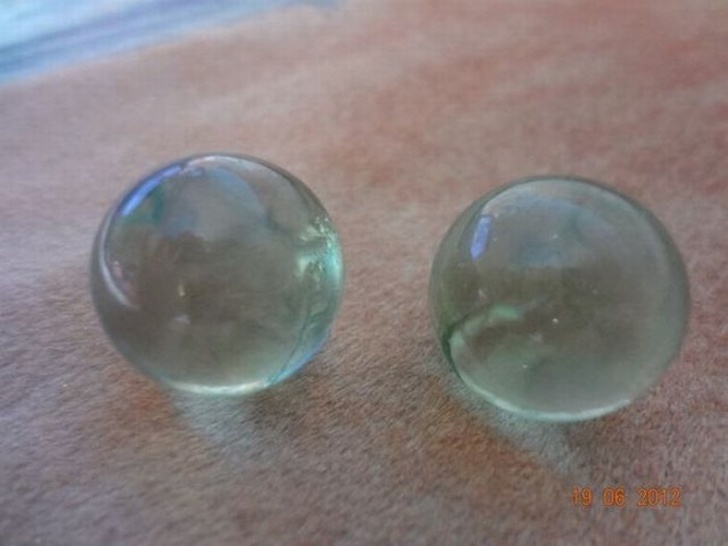 Mysterious glass balls that kids collect. This is what the semi-finished product used at glass factories looks like. Balls often fall out during transportation and impress the children who find them. This phenomenon is created by the reflection of light from tiny ice crystals that are suspended in the atmosphere or that comprise high-altitude clouds. This light pillar looks like candlelight. 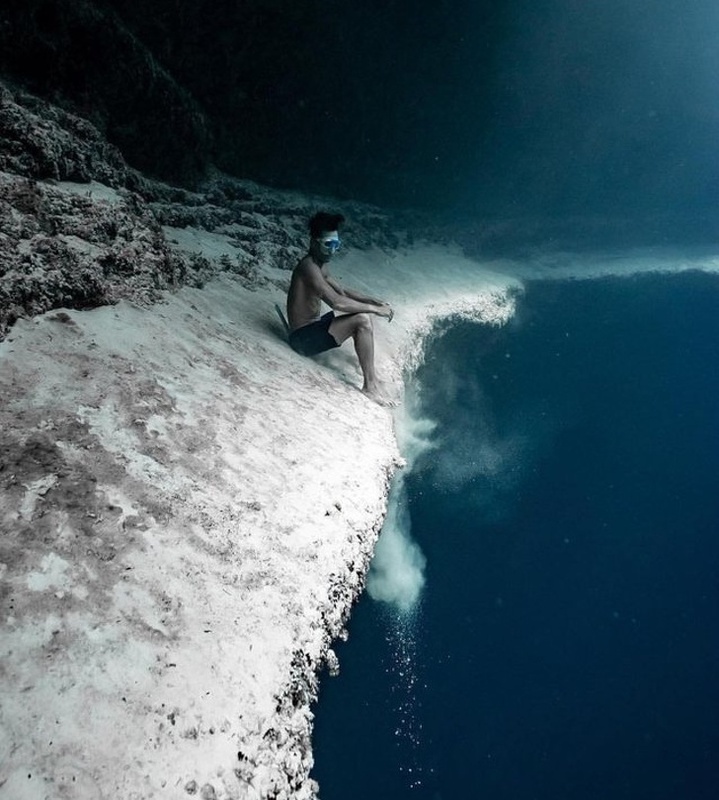 A diver sitting on the edge of a drop-off. 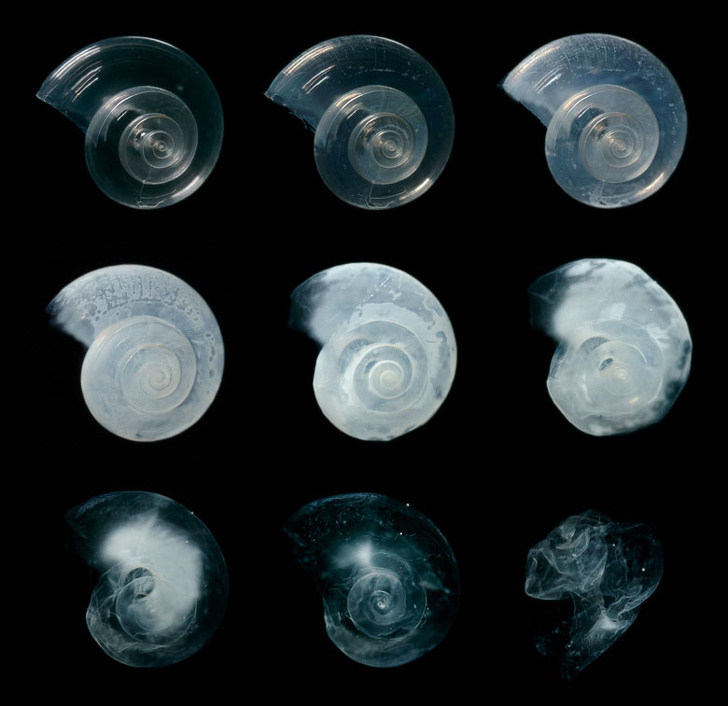 The level of CO2 was increased to show the effect of climate changes on Earth: emissions of carbon dioxide into the atmosphere increase its concentration in water and lead to ocean acidification forcing some marine species into extinction. This pond is surrounded by legends. 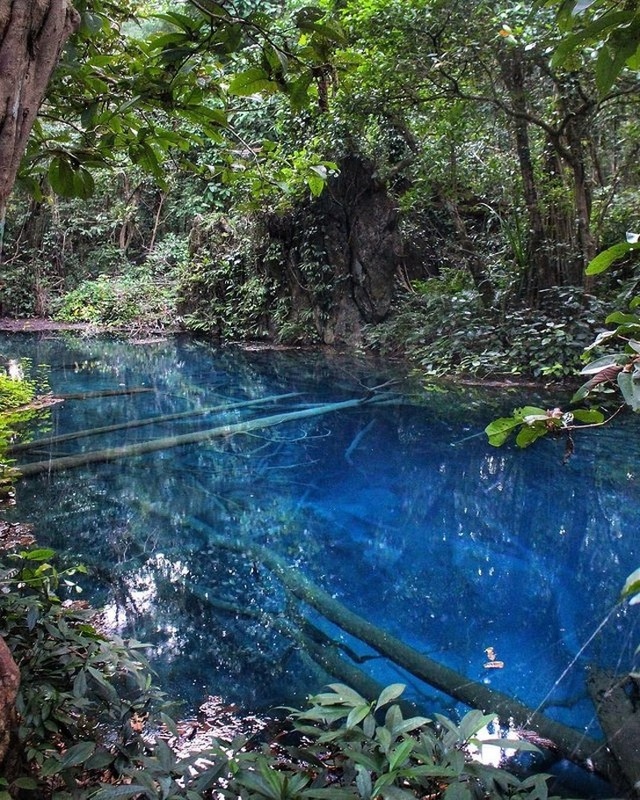 It’s said that people who swim in it, die soon afterward. If you pour this water in a glass, it loses its unusual color. According to one of the theories, it’s all about the minerals at the bottom of the pond. 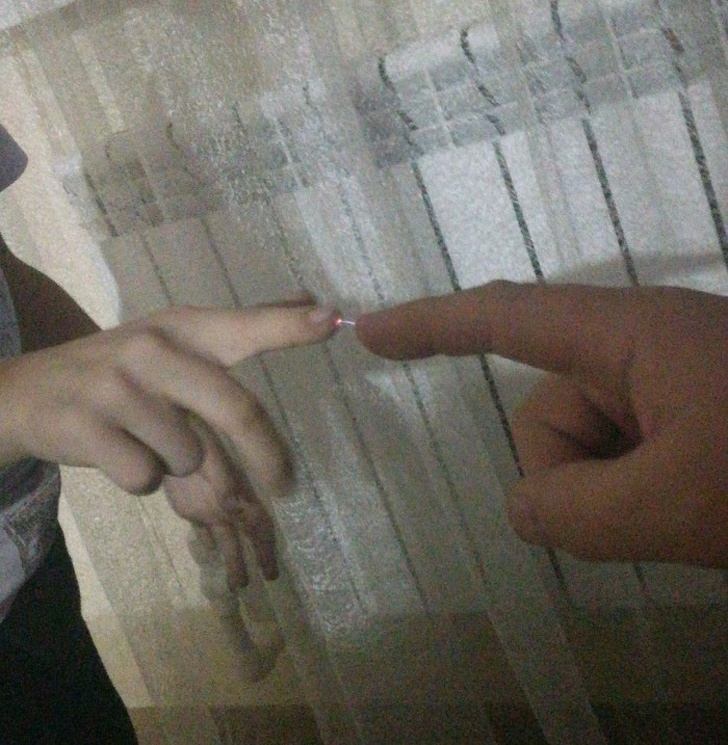 Almost all people possess this superpower in winter. When coming into contact with warm synthetic clothes, static electricity appears. If you increase the humidity in the room, the effect will disappear. To avoid static electricity charges, it’s recommended to choose clothes made from natural materials. 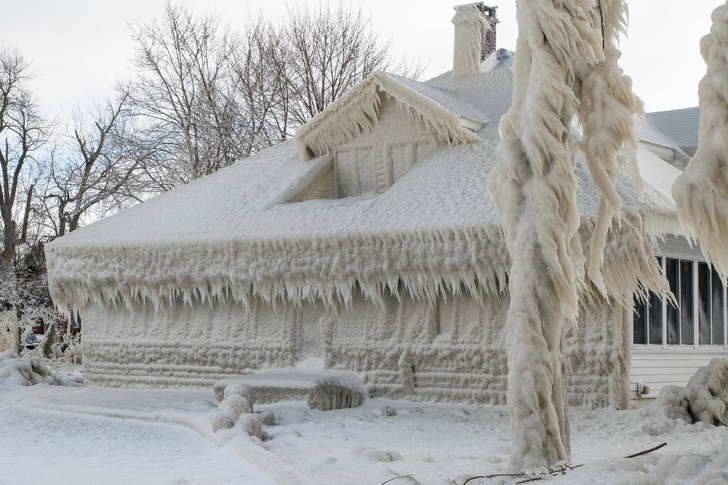 A house encased in ice after a blizzard in Ohio. 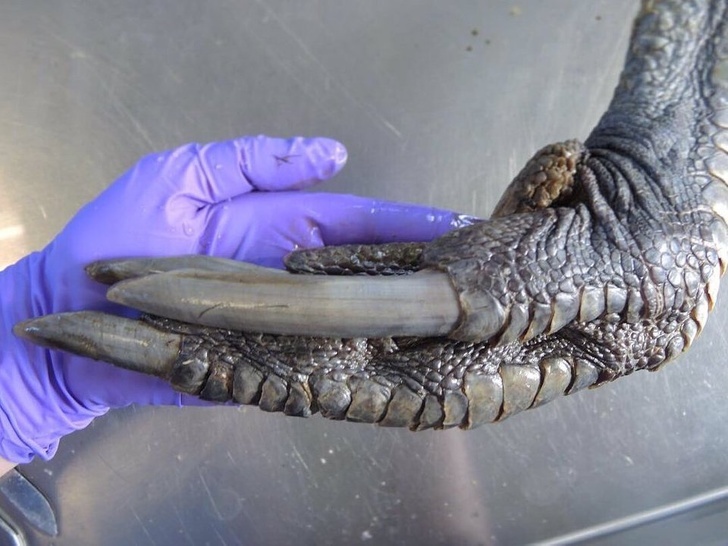 It’s a southern cassowary’s leg. These birds are almost as big as ostriches. This species ranges from 50-67 inches in length. Birds use their strong legs and claws to attack. 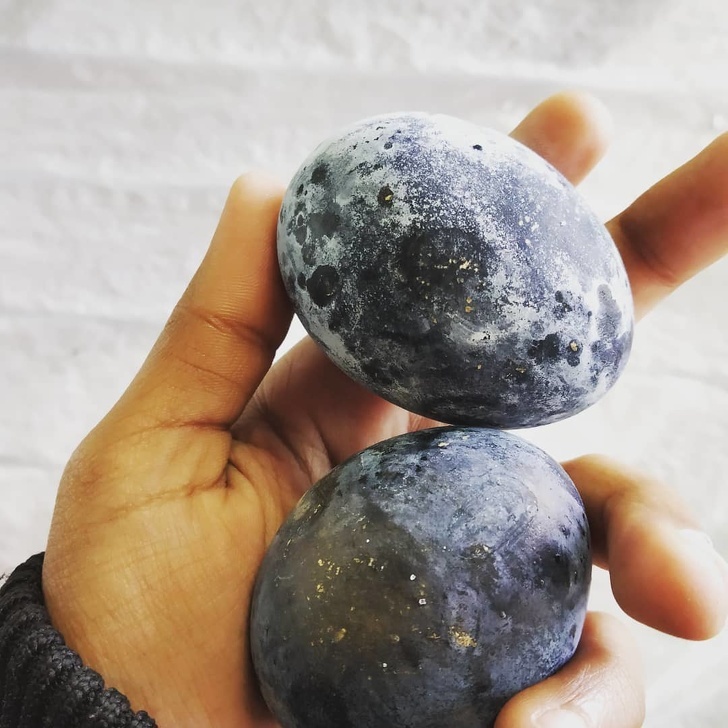 It’s said that if you eat this egg, you’ll prolong your life for 7 years. They are cooked only in the volcanic valley of Owakudani in Japan. Fresh eggs are put in puddles with water that’s mixed with hydrogen sulfide and sulfur dioxide. 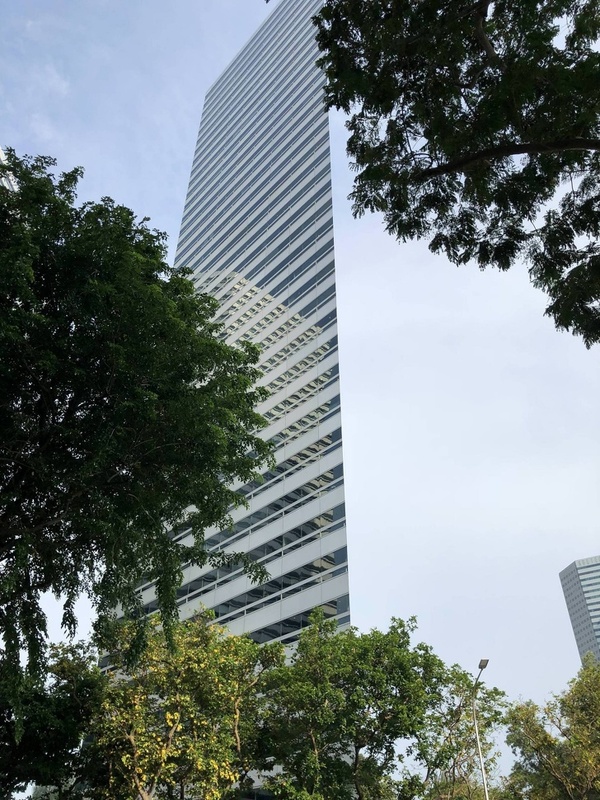 It’s just an illusion: this is a triangular building in Singapore. This incredible effect occurs if you take a picture of it at a certain angle. Nikola Tesla used the same trick: he would bury light bulbs around his towers and people would think everything was charged with electricity. 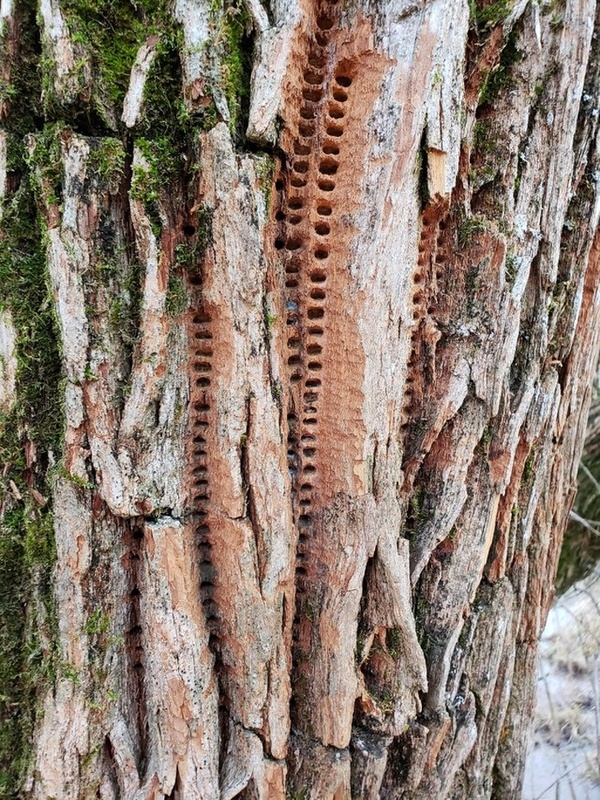 There’s no magic here: woodpeckers tend to make randomly placed holes when they’re searching for insects. 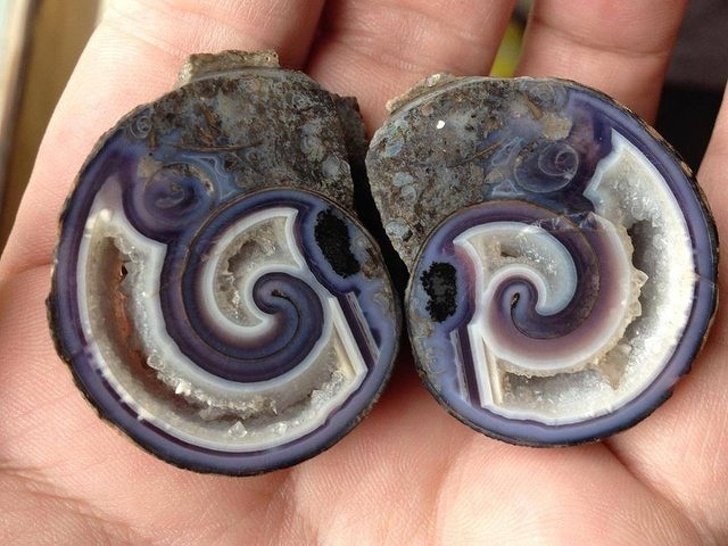 This is agate in a snail’s shell. The mineral literally conquered this space and evicted the previous dweller. 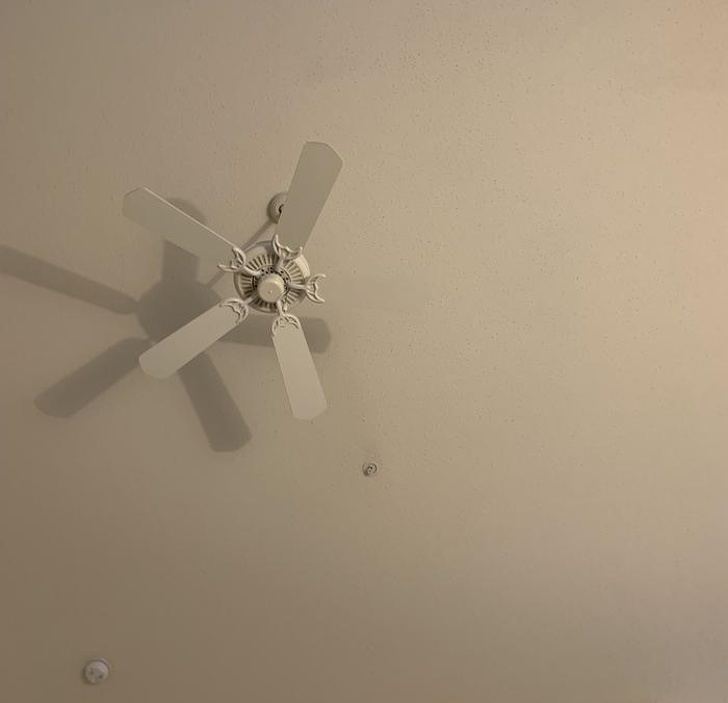 It’s just an illusion: the color of a blade is the same as the color of the ceiling. Have a closer look. 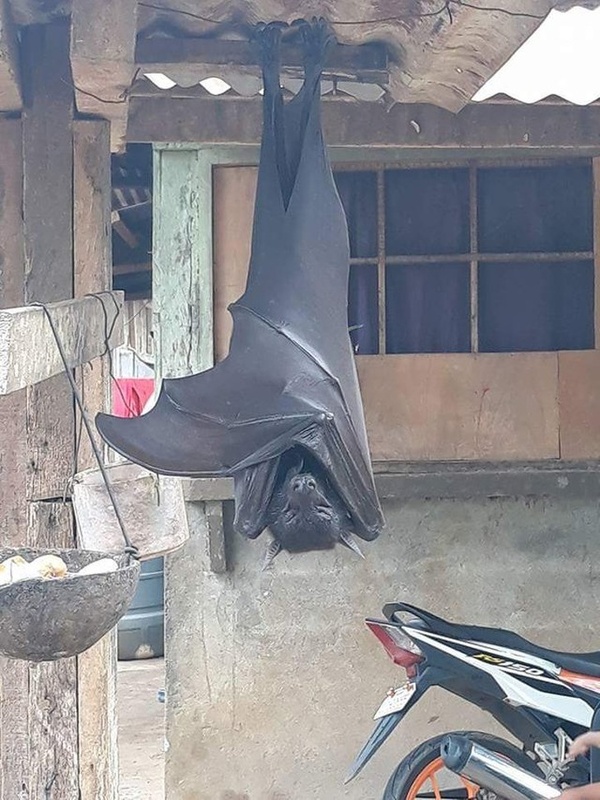 This is a large flying fox that eats fruit. Their size is really impressive. Some of these animals are as big as a 6-year-old child. Despite their size, they aren’t predators, but it’s better not to come face-to-face with them since they carry viruses that are extremely dangerous for humans. Have you ever seen any mysterious things or creatures?